(Updated at 11:20 a.m.) Nicole Merlene, a Democrat challenging state Senator Barbara Favola (D), has become embroiled in a war of words with a self-described political meme account on Twitter. The incident started with Merlene’s introduction at an Arlington Young Democrats forum. Accusing Favola of conflicts of interest and calling to ban political contributions from Dominion Energy — which has contributed $9,500 to Favola’s campaigns — have been some of the more vocal talking points from Merlene’s campaign. One of the most fundamental parts of being a Democrat is that no matter your socioeconomic status, your religion, your gender identity, your race — is that you’re provided an opportunity to succeed and you’re given a level playing field… To write off an entire segment of our population as “poor” because they have to rent or because they have to use public transportation is despicable. Favola waded into the fight as well and said that Merlene “should take her own advice” when it comes to elevating the political discussion. I’m very proud of the positive pragmatic and progressive campaign I’ve run and my over twenty years of public service. Maybe @NicoleMerleneVA should take her own advice. The argument escalated to threats of a physical confrontation from Merlene’s brother — a threat lampooned in the responses — for which Merlene took to Twitter to apologize. 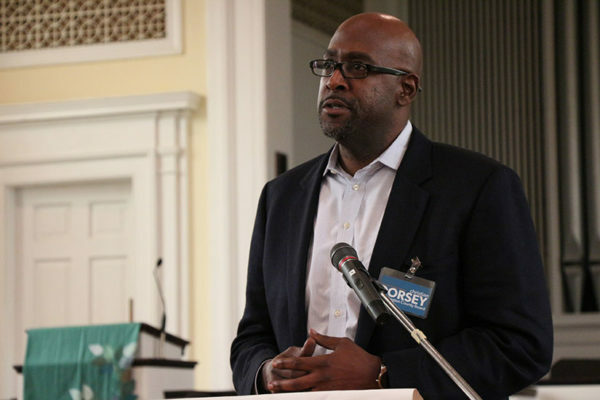 Arlington’s primary election be held on June 11 from 6 a.m. to 7 p.m.
County Board Chair Christian Dorsey is making a run for re-election, joining fellow Board member Katie Cristol in a bid for another four years in office. Dorsey formally announced his bid at the Arlington County Democratic Committee’s monthly meeting last night (Wednesday), according to the group’s website. The county’s elections office also now lists Dorsey as a candidate for the Board, which has two seats on the ballot this fall. Dorsey did not immediately respond to a call seeking comment, but he’s telegraphed a run for another term for several weeks now. He held a Super Bowl-themed fundraiser in early February, but held off on formally announcing until now. Cristol, who won office in 2015 alongside Dorsey, announced her re-election bid last month. The pair won spots on the Board four years ago as relative political newcomers, triumphing in a crowded, six-way caucus to earn the Democratic nomination and then decisively winning in the general. Dorsey had run for county office before, but his background is mainly in work at D.C. think tanks. Since joining the Board, Dorsey has taken a leading role on transit and housing issues, most notably serving on Metro’s Board of Directors. He rotated in for a one-year stint as chair back in January. Dorsey and Cristol have since helped steer the Board through several tough budget years, as persistently high office vacancy rates have strained county coffers, and also been tasked with navigating the complexities of bringing Amazon to Arlington, and the resulting debate over the deal. As of yet, however, no other Democrats have stepped forward to challenge the pair in a June 11 primary. Democratic Committee Chair Jill Caiazzo said that other candidates have until March 28 to file for the race, otherwise the party will call off the primary. “I have not heard of anyone else seeking the Democratic nomination at this point, but there is still time,” she told ARLnow via email. However, independent (and perennial candidate) Audrey Clement has already announced plans to run for the Board in the general election. There’s broad speculation as well that recently ousted independent John Vihstadt could mount a comeback bid, after losing to Democrat Matt de Ferranti this fall. In an off-off-year election, where only local offices and statehouse races will be on the ballot, Cristol and Dorsey could well face a taller task in fending off Vihstadt. De Ferranti was buoyed, in part, by a surge of Democratic voters, eager to send a message to national Republicans in the 2018 midterms. State Sen. Barbara Favola (D-31st District) and Dels. Alfonso Lopez (D-49th District), Rip Sullivan (D-48th District) and Mark Levine (D-45th District) also formally announced their re-election bids at last night’s meeting. Favola and Lopez have drawn primary challengers so far; Sullivan and Levine are currently unopposed. An Arlington Heights parent is launching a challenge to School Board Chairman Reid Goldstein, arguing that the county school system needs a more transparent, comprehensive planning process to match the county’s persistently rising student enrollment levels. David Priddy told ARLnow that he’s filed papers to compete in the upcoming caucus to win the Democratic Committee’s endorsement in the race. School Board seats are nominally non-partisan, and candidates don’t run under party labels, but local parties frequently endorse candidates for the Board. Goldstein announced his re-election bid in early January in the race for the lone Board seat on the ballot this fall. He’s seeking his second term in office after winning the seat in 2015, replacing retiring Board member Abby Raphael. Democratic Committee Chair Jill Caiazzo says that Goldstein and Priddy were the only candidates to file for the caucus ahead of last night’s deadline. Considering that every School Board member for the last 15 years has won the party’s endorsement before going on to win the general election, the caucus will likely decide the outcome of the race. Priddy wrote in an email that he’s an Arlington native, and grew up attending Arlington Public Schools. He serves on Superintendent Patrick Murphy’s Advisory Committee on the Elimination of the Achievement Gap and he has two children currently in the county’s school system: one at Thomas Jefferson Middle School and the other will attend Alice West Fleet Elementary School when it opens next year. He hopes that, as “a product of APS as well as an APS parent,” he’ll have a unique perspective to bring to the job. Priddy’s Arlington Heights neighborhood has a bit of a fraught history with the school system, and Goldstein, in particular. The process of determining how, exactly, the school system will add new space for high schoolers at the Arlington Career Center has frustrated many parents in the neighborhood, who argue that the school shouldn’t open as a high school serving the South Arlington neighborhood unless APS can guarantee it will boast the same amenities as the county’s other comprehensive high schools. Similarly, the recent redistricting process to divvy up students from nearby elementary schools and send them to Fleet as it opens next year sparked conflict in the community. Parents at Patrick Henry Elementary School, which will soon become the exclusive home of Drew Model School’s Montessori program, argued that Board members (Goldstein, in particular) repeatedly promised them that the school community would move as one to Fleet. School officials dispute their account, and the Board ended up directing about a fifth of Henry’s student body elsewhere, prompting plenty of hurt feelings. However, Priddy does not make any direct reference to those controversies in his campaign materials, and he said he will launch his campaign in earnest in mid-March. 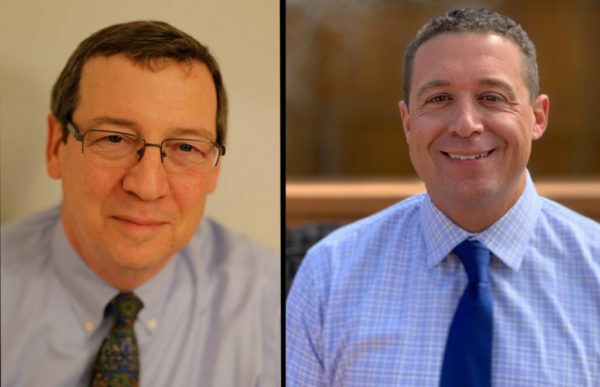 Goldstein and Priddy will square off in a three-day, “unassembled” caucus in June. Democrats hoping to vote in the race can do so on June 4 at Drew Elementary (3500 23rd Street S.) from 7-9 p.m., June 6 at Key Elementary (2300 Key Blvd) from 7-9 p.m. or June 8 at Washington-Liberty High School (1301 N. Stafford Street) from 11 a.m.-7 p.m. Anyone hoping to vote in the race will be required to sign a pledge indicating that they are a Democrat and don’t plan to support any other candidate in the race. Caiazzo stresses that this process is different from a primary, which Virginia law does not allow to decide nominations in School Board races. (Updated at 2:50 p.m.) Arlington’s top prosecutor has won the endorsement of 50 local attorneys, a key feather in her cap as a former public defender mounts a primary challenge attacking her credentials as criminal justice reformer. Commonwealth’s Attorney Theo Stamos (D) announced the news in an email to supporters yesterday (Thursday), writing that it’s “gratifying to know that I have earned the respect and endorsement of so many local defense attorneys.” She’s hoping to win her party’s nomination for a third term in office, in her first intraparty challenge since winning the job in 2011. Parisa Tafti, who currently serves as the legal director for the nonprofit Mid-Atlantic Innocence Project and has worked in D.C.’s public defender’s office, is hoping to oust Stamos for the job, arguing that she’s been insufficiently committed to reducing racial and economic inequities in the criminal justice system. Arlington’s public defenders have been similarly critical of Stamos on a variety of fronts in recent months. 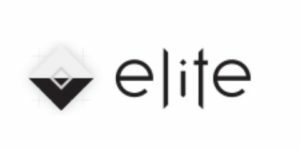 Notable members of the group of lawyers endorsing Stamos include Denny Rucker of longtime Arlington firm Rucker & Rucker and Jim Korman, a decorated divorce lawyer from prominent Arlington firm Bean, Kinney & Korman. Bruce Deming, who frequently represents local cyclists and pedestrians struck by vehicles, also joined the letter, as did Dave Albo, a former state delegate who practices as a DUI lawyer in Arlington. Tafti has picked up some prominent endorsements of her own in recent months, including support from the progressive group Our Revolution Arlington and former Virginia Gov. Terry McAuliffe. The former governor has made a series of endorsements in local commonwealth’s attorney races recently, targeting prosecutors who opposed his efforts to restore voting rights to convicted felons, Stamos included. Tafti has criticized Stamos over the issue in the early days of the campaign, in addition to charging that her efforts to reform the county’s cash bail system have been ineffective — lead public defender Brad Haywood agrees with her on that front. However, even though she worked in leadership roles for the county’s Democratic Committee, Tafti has yet to attack Stamos for her decision to twice cross party officials and endorse independent John Vihstadt in his runs for County Board. Stamos recently offered a bit of a mea culpa for those endorsements to local Democrats, citing her long family ties with Vihstadt. She’s also defended her record as a prosecutor as one that balances the rights of victims and defendants, pointing to her decisions to not seek jail time for people convicted of their first marijuana-related offenses and to embrace diversion programs to keep people struggling with addiction or mental health issues out of jail. Voters will decide the primary contest on June 11. 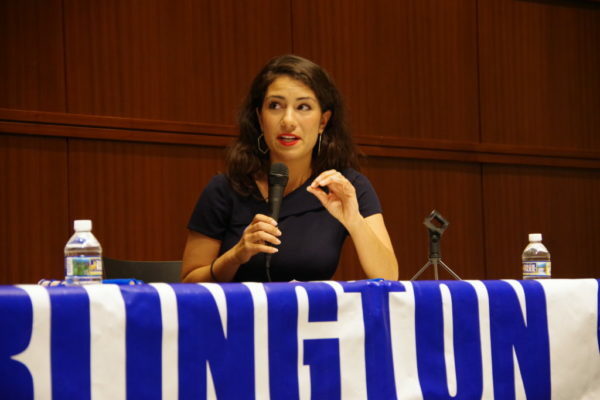 Primaries are also shaping up in some of Arlington’s state legislative races, though only Katie Cristol has declared a run for re-election with two County Board slots on the ballot this fall. 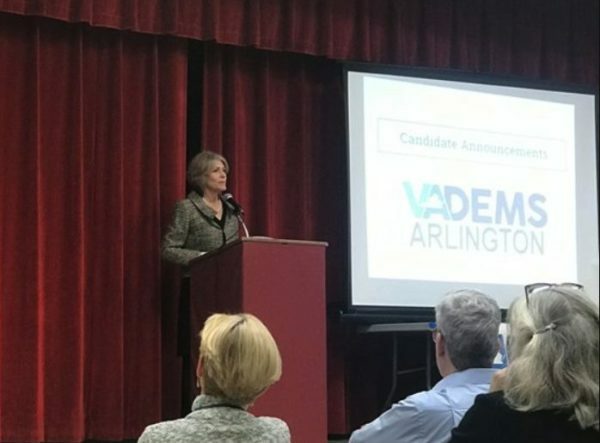 (Updated Tuesday at 9:50 a.m.) The head of Arlington’s Democratic Party is urging local activists to “keep the faith” in the wake of the cascade of scandals plaguing top leaders in Richmond. 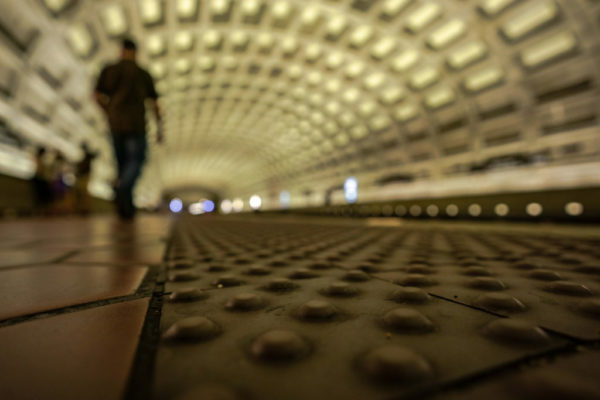 Jill Caiazzo, the chair of the Arlington County Democratic Committee, penned an email to the party’s mailing list Sunday (Feb. 10), in the hopes of buoying spirits dampened by recent revelations about Gov. Ralph Northam, Lt. Gov. Justin Fairfax and Attorney General Mark Herring. We are all struggling to deal with the disturbing news from Richmond. I have sat down to pen this email to you multiple times over the past week, only to have my sentiments overtaken by the latest news cycle. I do not know how these controversies will end. But as I said at our monthly meeting on Wednesday, I do know that Arlington Democrats have a role to play in moving our community forward through these difficult times. We may not be able to affect the outcomes of the dramas happening in Richmond, but we can have an impact in our own community. We can reject hate and support sexual assault survivors. We can channel our collective anger that issues of racism and sexual assault still plague us into finding positive solutions for the manifestations of these issues in our own community. We also can remember that the 2017 election was never about one or two individuals. It was about a movement of grassroots activists of all backgrounds and ages rising up to provide a badly needed course correction for our country. The rise of progressive activism was the central victory of the 2017 election. No subsequent controversy, however hurtful, can take that victory away from us. Only we have the power to do that — only we can decide whether we will allow this heartbreak also to break our activist spirit. To that question, Arlington Democrats, I say NO. I will not allow the failings of individual leaders to dampen my activist spirit. I cannot — there is simply too much work to be done to achieve a fairer, safer and more prosperous Commonwealth. The stakes are too high. As in early 2017, I am once again picking myself up and dusting myself off. Two steps forward, one step back: it’s time for the heart of the Democratic Party — its local activists — to keep moving forward again. In that spirit, and mindful that Democrats must re-earn the trust of voters and volunteers that has been lost over the past few days, I respectfully invite you to join me at several upcoming events, detailed below. Some are organized by Arlington Democrats; others are community events. Now more than ever, we need both: to lead in our own right, and to meet our neighbors where they are. I hope that you will join me in the struggle to lead our Party, our community, and our Commonwealth forward. Caiazzo is referring both to previous listening sessions held by activists on both race and sexual assault, and to some upcoming community discussions on the county’s history with Nazism and school desegregation. Meanwhile, the situation in Richmond remains unsettled. Arlington Del. Patrick Hope (D-47th District) made headlines this weekend for threatening to introduce articles of impeachment against Fairfax if he refused to resign, and circulated a potential resolution to start the process among his Democratic colleagues. But he backed off that threat this morning (Monday), writing in a statement that he is “open to discussions on other avenues” that would allow for a full investigation of the accusations against Fairfax. Some reports have suggested that Hope faced resistance from within his own party for the move, particularly from members of the Legislative Black Caucus. NEWS: A House Dem conf call grew heated last night when members of the legislative black caucus demanded @HopeforVirginia step back from trying to impeach @LGJustinFairfax, per 2 Dems familiar w the call. A third Va Dem, this one briefed on the call said none of @HopeforVirginia's allies spoke up. Members of @VaBlackCaucus, which has been steering much of the reax among Va Dems since last Fri, spoke first and that was that. "It was a pre-set massacre," says this Dem. The lieutenant governor is still telling reporters that he does not plan to resign, and is currently looking for an FBI investigation into the claims against him — one incident is alleged to have happened in Boston in 2004, the other in North Carolina in 2000. Northam also gave some of his first interviews since the scandal broke with the news that a racist photo appeared on his medical school yearbook, saying that he is “not going anywhere” and pledging a renewed focus to racial justice in the remainder of his term. Herring has been silent, and criticism has been markedly more muted of his conduct, after he voluntarily admitted to wearing blackface once while in college, and apologized. However, Levine did note that he is one of just a few voices calling on Senate Majority Leader Tommy Norment (R-3rd District) to step down, after reports that he edited a college yearbook that was filled with photos of students in blackface and racial slurs. Norment has denied any knowledge of the photos. Gov. Ralph Northam continues to resist an overwhelming chorus of voices calling on him to resign his post today (Monday), including virtually all of Arlington’s Democratic leadership. 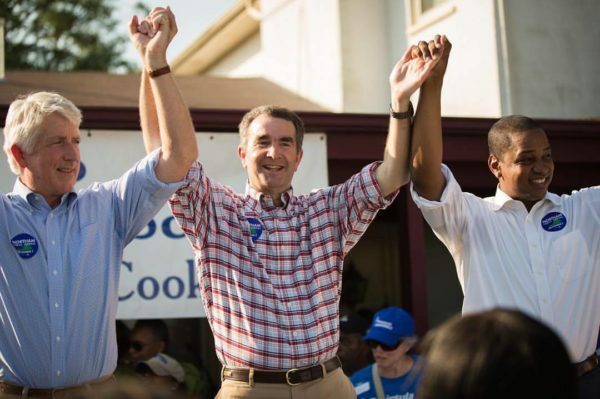 Northam, a Democrat, has experienced a dizzying reversal in his political fortunes since revelations late Friday that a photo of one man wearing a KKK uniform and another wearing blackface appeared on his medical school yearbook page. The governor initially released a statement acknowledging he was indeed pictured in that photograph, leading to near-unanimous calls for his resignation Friday night. But in a hastily convened press conference Saturday afternoon, Northam reversed himself, claiming he is now confident he is not pictured in the racist photograph and that it was placed on his yearbook page by mistake. However, Northam did confess to once donning blackface as part of a dance competition in 1984 while impersonating Michael Jackson. That admission, combined with his sudden reversal, only served to intensify pressure from party leaders that Northam must give way to his lieutenant governor, Justin Fairfax. Rep. Don Beyer (D-8th District) was one of the few elected officials to stop short of demanding Northam’s resignation ahead of the press conference. But Arlington’s lone congressman released a statement immediately after the governor’s comments saying he’d expected Northam to resign Saturday, and instead wants him to go. County Board Chair Christian Dorsey added that Northam’s explanations at the press conference “strain credulity” and urged him to step down as well. Sens. Tim Kaine and Mark Warner also issued statements pressing him to resign after the press conference, as has the rest of Virginia’s Democratic members of Congress. Virginia’s Legislative Black Caucus, the House of Delegates’ Democratic caucus, Senate Democrats and Virginia’s Democratic Party all issued similar demands after Northam addressed the media. The Arlington Young Democrats wrote in a statement that they believe “Gov. Northam can no longer serve effectively and must resign immediately” after the press conference, while the county’s full Democratic Committee called for his resignation before it (and its Twitter account has since retweeted a variety of demands that he resign after he spoke to reporters). The rest of Arlington’s state legislative delegation has yet to re-up their statements demanding Northam’s removal, but they unanimously supported their caucuses’ calls for the governor to step down in social media posts ahead of his press conference. County Board member Katie Cristol also issued a similar statement Friday. I struggle to reconcile the violence and disrespect for dignity of others conveyed in this image with my personal experience of Gov Northam as a decent, compassionate man. But the implication is clear. For the good of a Virginia where every citizen is valued, he must step down. Beyer’s predecessor and longtime Rep. Jim Moran was one of the few voices defending the governor Sunday. 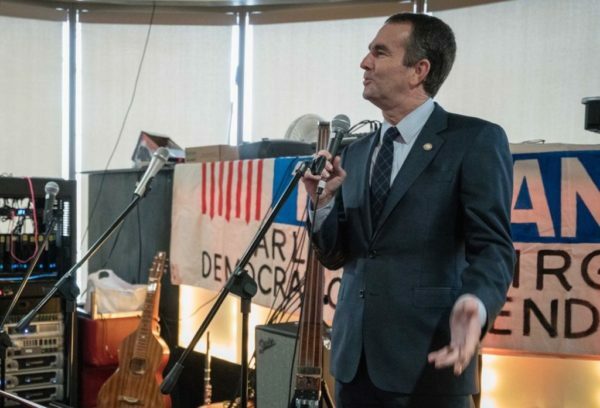 Northam said Saturday he’d consider resigning if he felt he could no longer govern effectively, but it’s unclear what would happen should he refuse to do so. The General Assembly could look to impeach Northam, though constitutional scholars are split on whether this controversy would rise to the level of misconduct required for impeachment. Should Northam ultimately step down, Fairfax would become just the second African American governor in Virginia’s history, and its second youngest as well. Virginia governors are generally limited to one term in office, but Fairfax, who was widely expected to run for governor in 2021, could be in the unusual position of filling out Northam’s remaining two years in office, then running for a full four-year term. Scholars are also debating the logistics of that matter, and just how Fairfax would find a new lieutenant governor should he ascend to Northam’s seat. Amazon has now chipped in campaign cash to every one of Arlington’s representatives in Richmond, kicking in the relatively small total of $3,500 to the seven state lawmakers representing the future home of one of its new headquarters. The tech company spread out the contributions over the course of last November and December, according to new campaign finance reports released yesterday (Tuesday), starting to wade into Virginia politics in the immediate aftermath of its big announcement that it would soon bring 25,000 workers to offices in Pentagon City and Crystal City. All but one of Amazon’s donations to Arlington’s legislative delegation were either $250 or $500 in size, generally a pretty small sum in even the largely sleepy world of statehouse elections. For instance, none of the contributions were anything close to the largest sums county lawmakers received in the six-month period measured in the new reports, running from July through December 2018. But the contributions do signal that the tech company is ready to start stepping up its involvement in state politics as it prepares to massively expand its presence in Virginia, particularly as the General Assembly gears up to approve an incentive package for Amazon that could send the company as much as $750 million in grants over the next two decades. Jeff Bezos’ firm has generally not chipped much money for state lawmakers in the past, but did start to ramp up some of its political giving early last year. 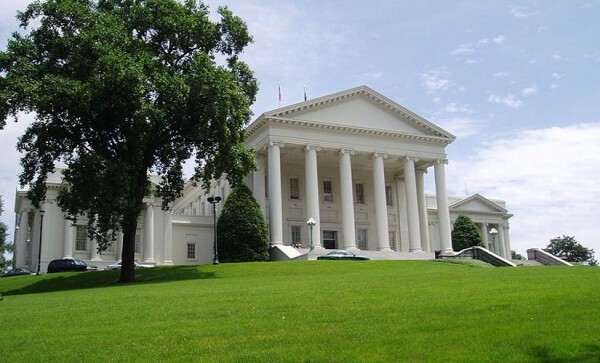 The tech firm was considerably more generous to Virginia’s statewide leaders. Amazon chipped in $4,000 for Gov. Ralph Northam’s political action committee last month, and sent $1,000 to Attorney General Mark Herring, who’s announced a bid for governor in 2021. The company also sent $4,000 to a PAC supporting Lt. Gov. Justin Fairfax, who is broadly rumored to be mulling his own bid for governor, and another $1,000 to House Speaker Kirk Cox’s PAC. The cash from the company also comes as Democrats are increasingly viewing corporate donations with intense skepticism. 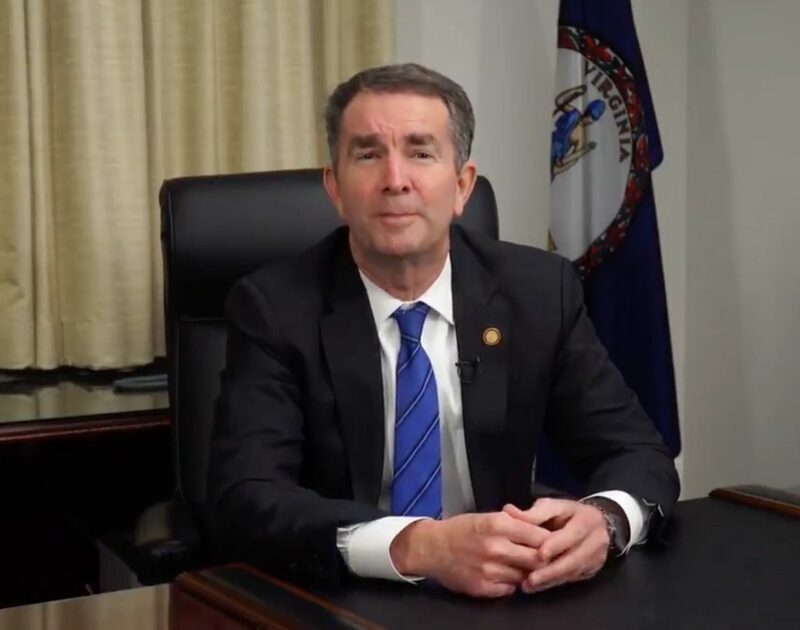 Northam and other Democrats in the legislature are currently backing a ban on corporate cash in state elections, and Del. Alfonso Lopez (D-49th District) went so far as to return the $1,000 check Amazon sent to his campaign to avoid any appearance of political favoritism. That check was the largest one the company sent to any local lawmaker — Lopez represents a collection of South Arlington neighborhoods immediately surrounding Amazon’s planned “National Landing” offices. The company sent $500 checks to state Sens. Adam Ebbin (D-30th District), Barbara Favola (D-31st District) and Janet Howell (D-32nd District), and one to Del. Rip Sullivan (D-48th District). Dels. Patrick Hope (D-47th District) and Mark Levine (D-45th District) each received $250 contributions from the company. Notably, Amazon does not appear to have given any money to any of Arlington’s five County Board members last year. While Amazon may attract the most attention these days, it was political action committees, generally controlled by corporations, that sent Arlington’s lawmakers the most cash in the second half of 2018. Ebbin raised the most cash of any county legislator for the six-month period, pulling nearly $119,000 in all and assembling a campaign war chest of about $101,000. Of that haul, $8,500 came courtesy of PACs. Arlington’s other senators pulled in quite a bit more from those committees. Howell, who placed second in the cash race among county lawmakers, raised about $76,000 over the last six months and now has nearly $267,000 socked away in her campaign account. She scored about $29,000 of that amount from PACs, including $2,000 from Dominion Energy’s political giving arm — many Democrats, including the bulk of Arlington’s delegation, have pledged to refuse money from the utility company, arguing it would be inappropriate to accept cash from one of the state’s few regulated monopolies. Favola finished third for the cycle, raising about $58,000 and racking up a war chest of about $185,000. She accepted about $22,650 in PAC money, including $1,000 from Dominion. Advanced Towing, the company made infamous for its run-in with TV personality Britt McHenry back in 2015, also sent her a $1,000 check. Favola is one of just two Arlington lawmakers facing a primary challenge so far this year, with local activist Nicole Merlene challenging her for the Democratic nomination. Merlene has yet to report any fundraising activity, as she declared her candidacy just a few weeks ago. The same goes for Julius “J.D.” Spain, the head of Arlington’s chapter of the NAACP, who is challenging Lopez. As for Lopez himself, he reported raising about $50,100 for the cycle, and has about $63,300 in the bank. He took about $9,750 in PAC money, but his biggest contributors were generally environmental groups, as he’s also refused Dominion cash. Michael Bills, a Charlottesville investor focused on environmental issues, sent him $10,000. The group he founded dedicated to fighting Dominion’s influence in Richmond, Clean Virginia, added another $5,000. The group also sent $2,500 to Levine, as part of his nearly $29,700 haul. He has about $13,400 in the bank, and reported accepting just $4,250 in PAC money. Hope also earned $2,500 from the environmental advocates, adding to his total of more than $32,000. He reported having about $29,300 in his campaign account, and took about $5,900 in PAC cash. Finally, Sullivan reported raising about $37,200 for the cycle, and now has more than $55,600 in the bank. He accepted $6,750 in PAC money. 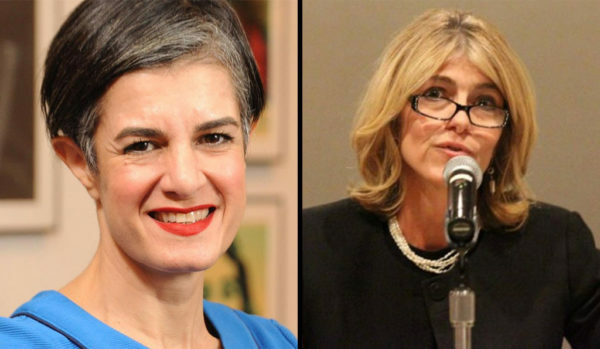 In the county’s local races, the Democratic primary pitting Commonwealth’s Attorney Theo Stamos against former public defender Parisa Tafti is shaping up to be competitive on the cash front. Tafti reported pulling in more than $30,500 since launching her campaign against the county’s top prosecutor, while Stamos managed just over $5,900 over the last six months. Tafti now has about $18,000 in her campaign account, compared to Stamos’ $24,300. Neither of the two incumbent County Board members up for re-election this year — Katie Cristol and Chair Christian Dorsey — have formally announced campaigns thus far, but both did take in some campaign cash in the back of 2018. Cristol reported raising just over $5,400, and has more than $14,000 saved up should she run for a second term. Dorsey managed to pull in just $1,600, and has only $542 left in his campaign account. School Board Chair Reid Goldstein, the lone member of that body running for re-election this year, reported raising just $15 to support his bid for the cycle. But he still has $4,400 left in the bank. A June 11 primary will decide the Democratic nominations in the primary races, while all 140 state lawmakers and many county officeholders will face voters this November. Commonwealth’s Attorney Theo Stamos has officially kicked off her bid for re-election, looking to rebuild bridges among her fellow Democrats after repeatedly endorsing independent John Vihstadt and drawing a primary challenger from her left flank. Stamos emphasized that she’s “been a Democrat since I was holding up signs for Hubert Humphrey on the south side of Chicago” in a speech announcing her run for re-election last night (Wednesday) at the county Democratic committee’s monthly meeting. The county’s top prosecutor has ruffled plenty of feathers among party leaders in recent years, becoming one of just three elected Democrats in Arlington to back Vihstadt’s independent bids for County Board. And with Parisa Tafti (a former public defender who’s served in leadership roles for the local Democratic party) hoping to win the party’s nomination for the post this June, Stamos began her campaign on a bit of a conciliatory note. After all, the committee threatened to boot County Board member Libby Garvey out of the group over her support for Vihstadt, leading her to briefly resign instead. Accordingly, Stamos primarily cited her long history with the entire Vihstadt family in explaining her support for the independent, who won a pair of elections in 2014 to become the first non-Democrat on the Board since 1999. Vihstadt lost his bid for re-election last year to Democrat Matt de Ferranti, returning the Board to one-party control. Stamos regaled the audience with memories of relying on the Vihstadts, her neighbors for years, to look after her kids as they were growing up. She says her family and the Vihstadts still celebrate holidays together, making her backing of his candidacy as personal as it was political. However, Tafti has so far chosen to base her challenge to Stamos on policy disputes, rather than any party infighting. She claims that Stamos, who was first elected in 2011, has been insufficiently committed to reforming the county’s criminal justice system, and even exacerbated some of the system’s racial disparities. Tafti, who recently won the backing of former Gov. Terry McAuliffe, has pledged not to seek the death penalty if she’s elected in Stamos’ stead, and to end the practice of requesting cash bail for all criminal defendants. Stamos has pledged to end cash bail for most defendants accused of misdemeanors, but both Tafti and other local public defenders believe that change doesn’t go far enough. Tafti also took aim Wednesday at Stamos’ relationship with local legislators, arguing that they need “an honest partner who understands, even outside of campaign season, the need to support policies important to Democrats” in order to pass criminal justice reforms at the state level. She specifically singled out Stamos’ comments to ARLnow back in June for criticism, after Stamos dismissed a letter by the state’s legislative delegation urging her to do away with cash bail entirely. “When our delegation seeks my help to reform the bail system, I shall do so with an open mind, not dismiss the request as ‘silly’ and ‘misguided,'” Tafti said. She also pointed to her decision to not seek jail time for people convicted of their first marijuana-related offenses as a move toward reform, and her embrace of diversion programs to keep people struggling with addiction or mental health issues out of jail. “The core mission of our office will always remain the same: the principled prosecution of criminal defendants, the vigorous protection of victims’ rights and never losing track of the public’s and community’s safety,” Stamos said. Local activist Nicole Merlene also formally announced her primary challenge to state Sen. Barbara Favola (D-31st District) at the meeting, while Treasurer Carla de la Pava proclaimed her own bid for a second full term in office. Unlike Stamos, de la Pava did not address her support for Vihstadt in her speech. She has yet to draw a challenger this year, and has never run a contested race for the post — she was appointed to replace retiring treasurer Frank O’Leary, then won a special election and general election in consecutive years to retain her role. School Board Chair Reid Goldstein also used the meeting as a chance to announce his bid for a second term, as he hopes to once more win the party’s endorsement for the nominally nonpartisan role. Only one seat on the Board is up for grabs this year and Goldstein has yet to face any challengers in the race, though he has attracted some criticism for his handling of the controversial process of drawing new boundaries for eight South Arlington elementary schools last year. Nevertheless, Goldstein used his speech as a chance to present the school system’s challenges as issues arising from the quality of county schools. “These are tough issues, but we have to be in a situation where people aren’t eager to leave our schools,” Goldstein said. The committee is set to select a Democratic School Board nominee in a caucus sometime in May or June. A June 11 primary will decide the other races on the ballot this year. The head of Arlington’s chapter of the NAACP is launching a primary challenge to Del. Alfonso Lopez (D-49th District), a powerful member of Democratic leadership in Richmond who has attracted criticism from within his own party in recent months. Lopez, who also serves as Democratic co-whip in the House of Delegates, first won the seat back in 2011, replacing now-Sen. Adam Ebbin (D-30th District). Lopez hasn’t faced a primary challenge since he won a contest with Stephanie Clifford for the chance to run for the seat in the first place. Spain is a 26-year Marine Corps veteran who has been active in Arlington’s civic institutions for years now. 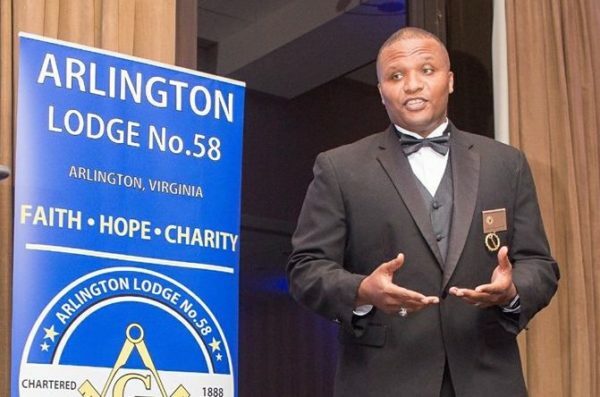 He’s served on the county’s Civil Service Commission since 2014, and worked in leadership roles in Nauck’s Masonic Lodge 58. Spain adds that he’s been active with the NAACP for roughly two decades, and was elected as the group’s president just last fall. He’s also served as a precinct captain for the county’s Democratic committee, and describes himself as “a hard-core Democrat,” though this is his first bid for elected office. He declined to offer specific critiques of Lopez’s record, only saying that he would lay out “temperate, discrete and pointed” rebuttals over the course of the campaign. Other Democrats have not been nearly so reticent to criticize Lopez, however — Lopez has reported working in the past for a private company that runs an Immigration and Customs Enforcement detention center in Central Virginia, sparking all manner of protests over the past year. Lopez has since worked to defuse concerns over those ties by meeting with activists to explain his support for immigrant rights, particularly given his status as one of just a handful of Latino legislators in the General Assembly. For his part, Lopez says he plans to run for a fifth term on the strength of his “record of fighting hard for our progressive values in Richmond,” citing his work on housing affordability, environmental issues, the Medicaid expansion and Metro funding. Meanwhile, Spain says the primary focus of his run against Lopez will be on issues like housing affordability in South Arlington, a key concern for the community as Amazon moves in nearby, and the achievement gap between white students and students of color in Arlington schools. He also hopes to “represent the people, and not just the people who have money,” and says he won’t accept any donations from corporations over the course of his campaign. The issue of corporate money in Virginia politics has become a particularly potent one among Democratic candidates for office in recent months, with many swearing off money from state-regulated utilities like Dominion Energy, in particular. Lopez himself has pledged to refuse money from Dominion, though he has taken cash from corporations — Gov. Ralph Northam is backing a ban on corporate campaign donations in this year’s legislative session, though Republicans have shown little interest in advancing such a bill. Accordingly, Spain is hoping to run a “grassroots” campaign, though he says he’s still getting organized a bit. He hopes to make a formal announcement at a county Democratic committee meeting next month, then ramp up the campaign from there. A June 11 primary will decide all races between local Democrats. All 140 state legislators are set to face voters this November. Local activist Nicole Merlene has also launched a primary challenge to state Sen. Barbara Favola (D-31st District), while Parisa Tafti is running against Democratic Commonwealth’s Attorney Theo Stamos.